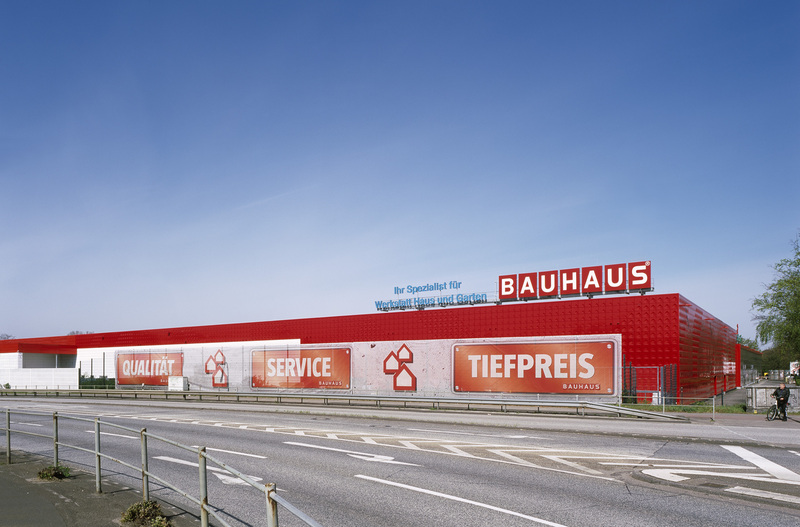 Following Bauhaus’ takeover of the already-existing DIY store, the building is now to receive a new facade. 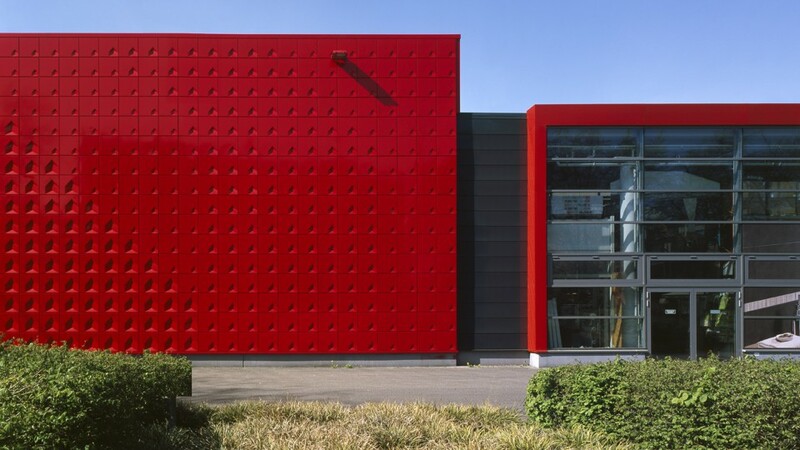 This features a special effect from up close and afar, created by imprinting red metal panels with the stylized logo of the company in three different sizes. 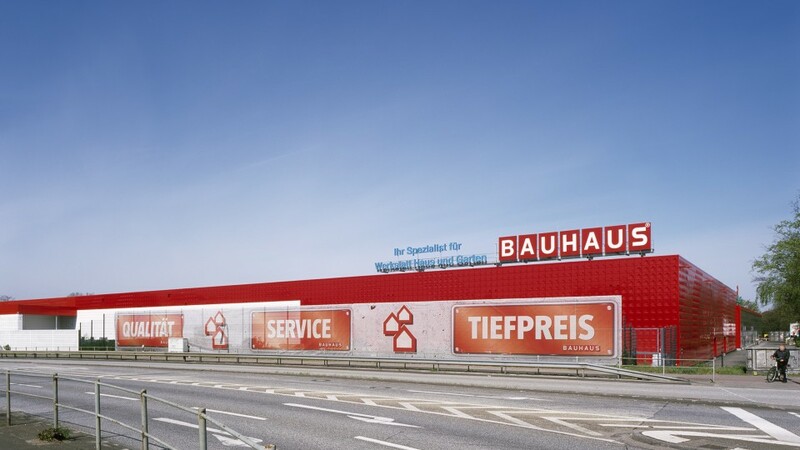 The different sizes, positions and shading levels of the three-dimensional imprints create two different effects: when viewed close up, the panels appear as a series of smaller, individually imprinted Bauhuas logos which, when observed from a distance, combine to form a much larger Bauhaus logo. 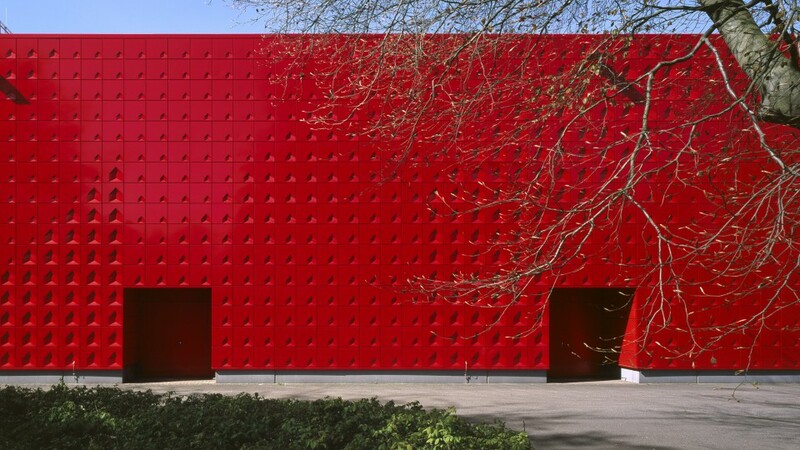 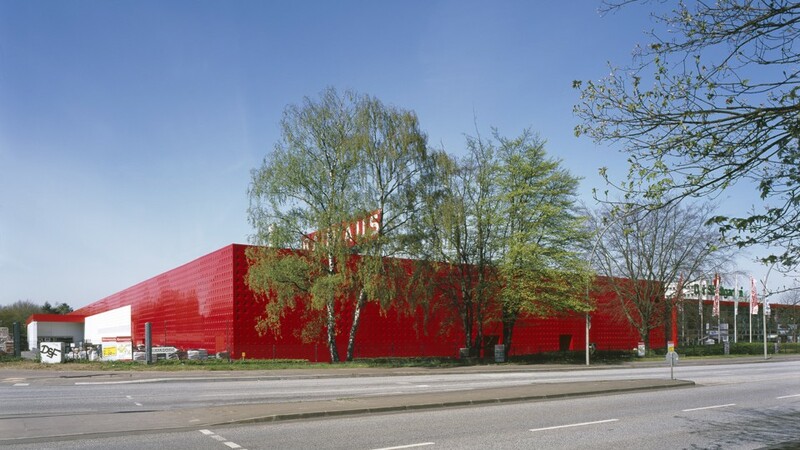 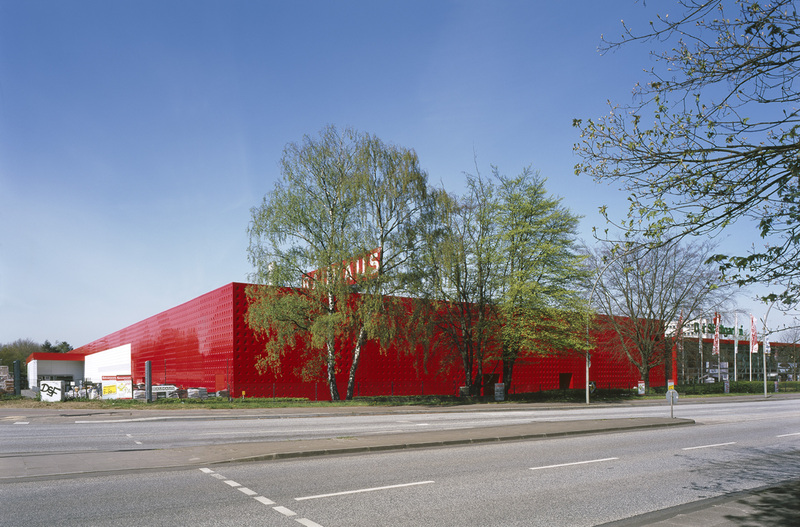 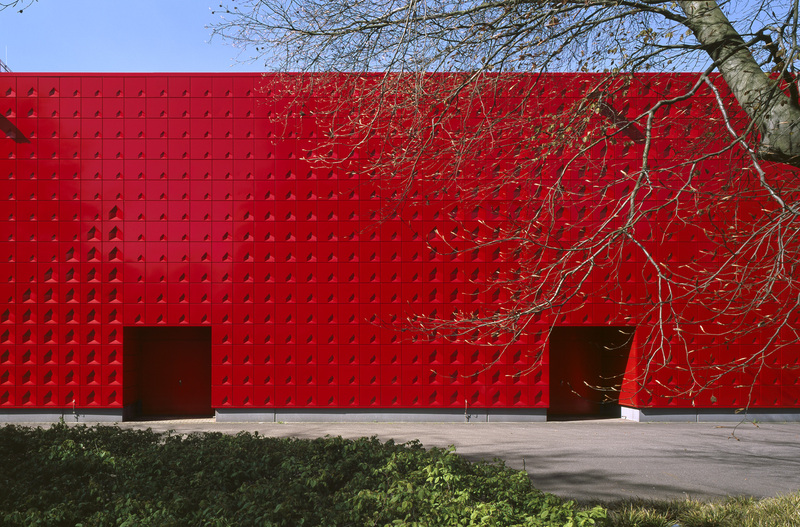 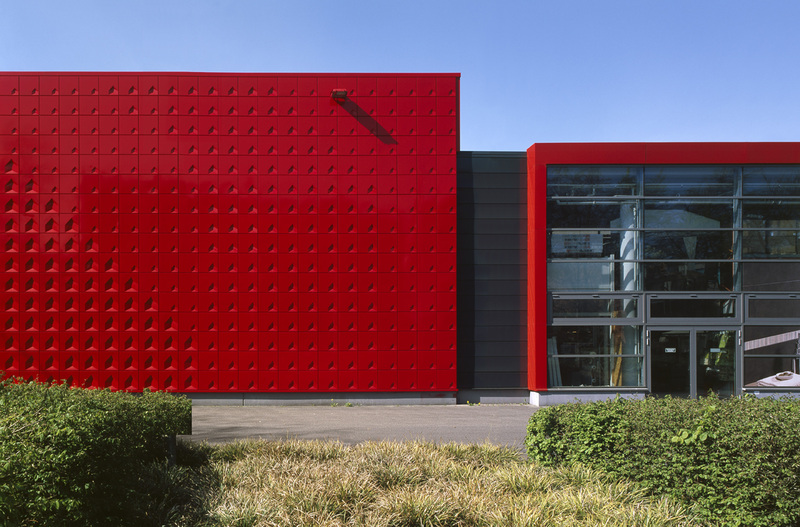 Due to its location, directly at the motorway exit for Stellingen, the red building becomes a widely visible landmark which, with its branded facade, gives the company a strong corporate presence in this public space.